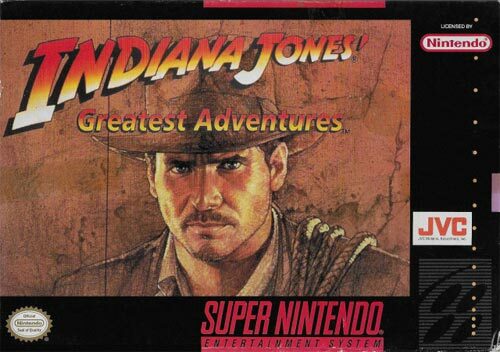 Indiana Jones: Greatest Adventures for Super Nintendo has you help Indy run, jump, and whip his way through 28 levels based on the three films. He will have to face hundreds of familiar foes including killer monkeys, blowgun toting natives, and Mola Ram. Explore exotic locales like Chachapoyan Temple, Shanghai, Brunwald Castle, and the Well of Souls.